I'm so excited to debut my new Thin Blue Line wedding flask garter set! It's perfect for the bride whose hubby-to-be is a member of law enforcement. Without further ado, here it is! 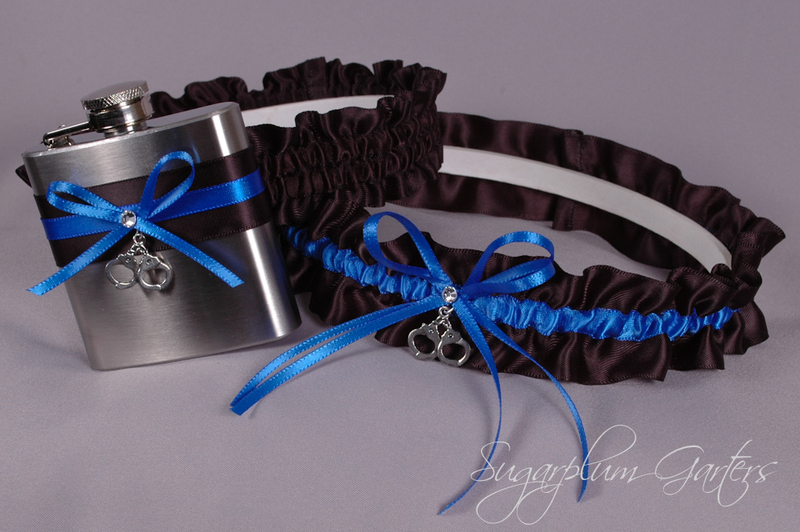 This set is available for purchase here in my shop; the keepsake garter in the set may be purchased separately.